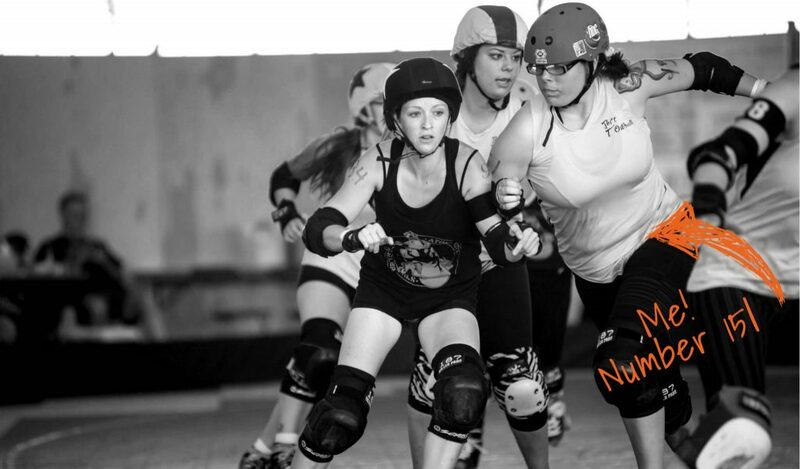 GUEST POST: We love hearing from the derby community because everyone trains for derby differently. Email us at collab@boutbetties.com to submit your fitness advice & ideas to share! About a year ago, I started making a conscious effort to stop talking about “stretching.” Not because I don’t think stretching is important, but because the way we (you, me, the fitness industry) think about stretching has expanded. In fact, it isn’t about stretching at all. Not really. Stretching is an ACT. A specific movement or series of movements that you do. Maybe it’s before you train, maybe it’s after. But muscle hygiene and health has to be more than just touching your toes for 30 seconds after you’re done lifting or skating for the day. Even if you are the skater that does consistent static stretching after each session (you’re probably not because not many of us exist), I bet you aren’t seeing a lot of improvements in your overall flexibility or mobility. And that’s the ultimate reason stretch. Because we want to gain mobility and flexibility. And mobility is so much more than just having stretchy muscles. Mobility is the ability to use a joint to move a limb through a full range of motion with muscular control. Control is HUGE for athletes. We can’t just be flopping into a stretch every time we want to improve mobility. We have to approach it intentionally. Sports and physical training can create tight muscles and stiff fascia which compromise our ability to move through a full range of motion. And when a particular joint’s mobility is compromised, our body responds by creating compensations in other joints. This leads to chronic stress on our joints, pain, and overuse injuries due to this created imbalances. Mobility work reduces the potential for muscular imbalances, and over time can help correct some of the imbalances that have been created by these limited ranges of motion. I’m not just telling you to GO STRETCH. Because do you REALLY feel that all the static stretching you’ve done in the past has made a difference? You might feel better for a little while, but overall increases and improvements in mobility and range of motion are small. If they happen at all. So…it’s time to branch out. The goal here is to stretch the target muscle WITHOUT causing the opposing muscle to engage. Think about it this way: If you over stretch your hamstrings, your quadriceps will eventually contract in an effort to protect them from being stretched too far. Here are some examples of lower body AIS stretches. While using this method, each stretch should be held for 2-3 seconds followed by the limb returning to the starting position. Repeat this through a comfortable range of motion (i.e. don’t push it) for 6-10 reps per stretch. Because of course this is on here. It helps lubricate and smooth out the connective tissue that surrounds our muscles so the muscles can function better. The key to a good foam rolling session is to SEARCH and DESTROY. Roll along the full muscle looking for particularly tight areas, then come back and hold on that pain point to release the tension. Here’s a good run-through of some basic methods and ways to foam roll. Taking your muscles and joints through their full ranges of motion in a controlled, but dynamic fashion is key. It’s also a very good way to do a run down of your body’s condition before you train. Are any of your muscles sore? Do you need to do more work on that creaky knee joint? Dynamic stretches will tell you. Want to increase your brain’s connection to your muscle? And make the most out of your static stretching? Contract and release stretching is a way to do that. Basically, it’s setting up in a static stretching position (like the couch stretch) and then actively contracting and relaxing certain target muscles as you do the stretch. For the couch stretch, you’d actively contract your quads and hip flexors as you held the stretch, then relax them. You can also focus your contract and relax on muscles that aren’t being stretched (like the glutes and hamstrings in the couch stretch). This one is intense because you’re putting active pressure on the belly of the muscle as it stretches. It’s kind of a deep tissue massage that you can do yourself. I recommend doing tack and stretch work with ball because foam rollers can be unwieldy. And remember, it’s imperative that you only pin the muscle as it’s stretching and lengthening NOT as it’s contracting. Foam roll, dynamic stretches, and muscular engagement exercises before you train. Think things like bodyweight glute bridges, band pull-aparts, etc. Foam roll, AIS, and longer term static stretching after you train. This ensures that your muscles can produce force while you’re training (or skating), but you still have a chance to increase your mobility. Last, but not least, QUIT SKIPPING IT. If you want your muscles to work when you want them to work, you need to do a better job taking care of them. Muscle hygiene is a real thing. Hi! My Name Is Prime (Emily To Very Few) And I LOVE Roller Derby. That’s me on the end there. Number 151. I love the sport. I love what it can do for people. It’s empowering, awe-inspiring, and athletic. There’s just something about being involved in sports that makes you push yourself in a way that you don’t often get to. I’ve been in the game for almost 8 years. I’ve played a variety of different roles: skater, coach, non-skating official, referee, board member, co-founder. But my favorite, by far, has been the role of coach. Helping skaters (and all athletes!) reach and exceed their potential is one of my favorite past times. I believe that everyone has a badass athlete hiding inside of them, they just have to get out of their own way. I’m an NASM Certified Personal Trainer and currently working on a Pre and Post-Natal Exercise Specialty. I’m a Precision Nutrition Level 1 Certified Coach. And currently entering my 7th season of play with my roller derby team, Northwest Derby Company. You might also occasionally see my face/hear my voice as a guest writer at The Apex. And really anywhere on the web. You never know where I might pop up. Seriously, though, I could be behind you right now. I drink a lot of tea, swear a fair amount, and love to lift heavy things. I’ve come back from more injuries (including the 9-month one) than I care to count. I help female athletes level up their game without giving up their life. You can have both, I swear!